Serge Larocque launched his Penobscot 14 earlier this year in July after spending 18 months building it. He chose a lug rig for its ease of use with no standing rigging to deal with. Serge reports that it’s a fun and responsive boat. 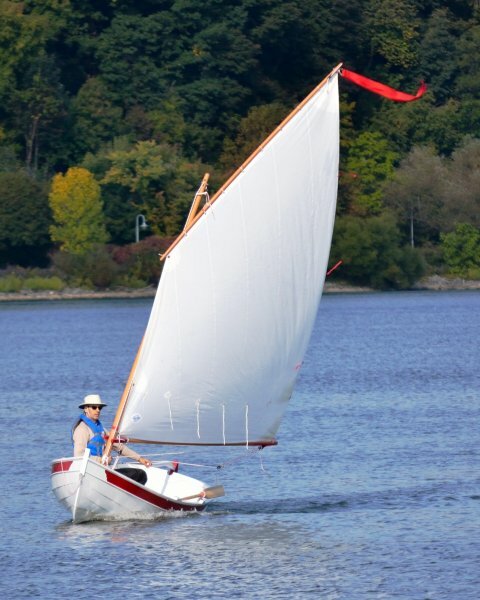 This picture of Serge sailing was taken in Lake Ontario last September.